The glamorous the Social Media looks from outside, it takes an effort of a huge team to start one trend in the world of Internet. 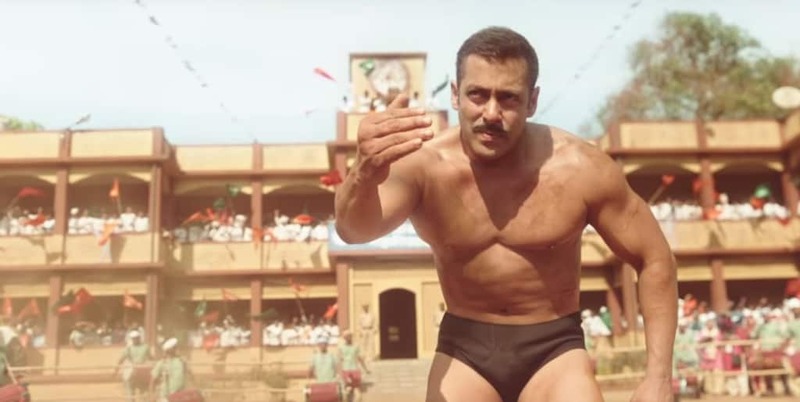 Sultan bhai, our very own Salman Khan, surprises us by his motivation to win and gives social media freaks some amazing kick off ideas in the movie. Our big bro, Salman Khan, passes this special message to all his fans. He never gives up in the ring even though he knows he might die. Achieving a greater goal makes him go out of the way to fight till death calls him. To become the king of the glamorous Internet world, giving up is not an option. You need to fight dare that comes your way till the end. Keep the word “lost” out of your dictionary, and see the difference. Your belief is your friend and also your enemy. The day you stop believing in yourself and in what you do, is the day you will lose. “Only another sultan could kill him”, claimed Sultan bhai. He believed no one can beat him and won every fight in his life. There is a thin line of difference between over-confidence and passion. This was his passion. Keep away from over-confidence, it will kill you as it killed our bro. But only your passion can make you win! Every individual is different in their own unique way. Bhai is different with his kite catching skills and his amazing knock-down move. That one move of bhai and the entire audience in the ring knew that the game is over. In the digital world also, every problem, every brand is unique along with a unique targeted solution to it. Find that one move and been the Google official Partner, in order to win the game. Just how “Pokemon Go” has done it recently with introducing augmented reality feature in a game. You’re only one step behind of winning, go ahead & win it! Remember the signature step of Salman Khan in “Jag Ghoomeya”? And how refreshingly and romantically he sings that song for Anushka Sharma. Can you imagine wrestler and romance going together? Just that one song and his image changed from arrogance to romantic in media and in people’s heart. Changing your image once in a while over social platform isn’t going to harm it but will give your brand a refreshed feel. A look and the attention your brand has longed for can be achieved by it. Be it positive or negative, a change can make the media talk about you for a long. You also can reach to us for changing your image, checkout our Online Reputation Management solution. To summarize, Sultan motivates us to go for whatever comes our way and never back-off. The moment we give up we lose the race forever. Just Do IT!